Lake Garda where to sleep? Where to stay at Lake Garda? 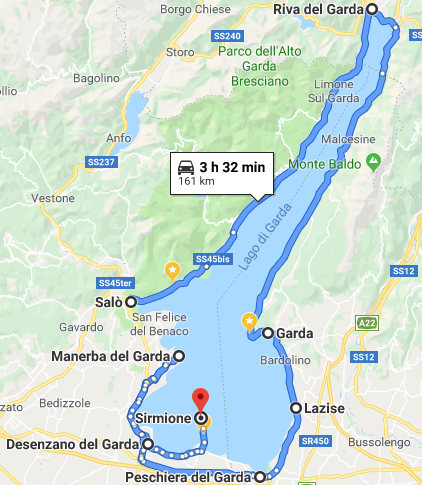 Better Sirmione or Desenzano? Best location on Lake Garda. The most beautiful countries to stay at Garda lake. ⇨ If I want to sunbathe and swimming in the lake, I prefer to stay in Manerba del Garda. I really like the view in this area: it was love at first sight. In fact I have already booked 2 weekends in July and August at this lakefront hotel. 👉 Manerba del Garda. 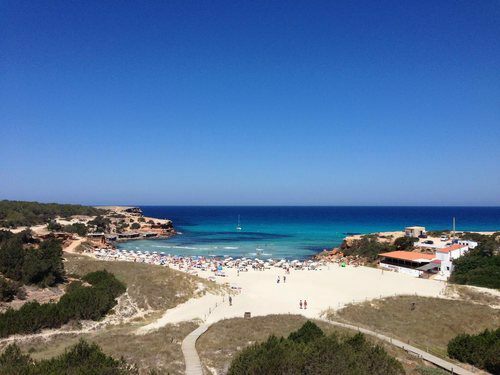 The beaches are pebbly, free or with the possibility to rent sunbeds and deckchairs, there is a kilometer walk along the coast and on the other side there are all the residences and campsites full of tourists. Also nice to visit the "island of rabbits" (The island of San Biagio): an island far 200 meters from the coast can also be reached by walking through the stretch of water that separates it from the mainland. To do during the low tide. In the picture I was in the middle of Lake Garda just near the island of San Biagio. From here you can see a wonderful sunset. For those who prefer lively places, the most beautiful place in Garda is certainly Sirmione. 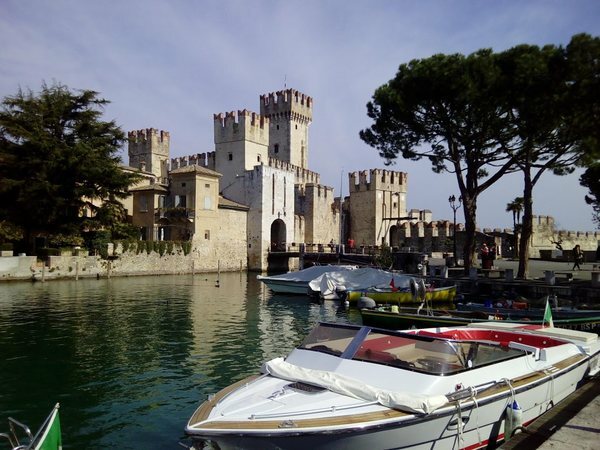 The village of Sirmione is as fascinating as it is crowded with tourists. One of the most famous and visited places of Garda thanks to the famous Aquaria Thermal SPA with its outdoor swimming pools heated in winter. In the evening Sirmione lights up like a little Paris, there are numerous restaurants and bars for all tastes so if you want to stay in a lively center, even if small, I suggest you stay here. In summer it is very crowded especially on weekends. The season starts at Easter and lasts until the end of October. Tip: Choose an accommodation with parking included otherwise you will have to pay a parking space in this area and they are quite expensive. If you are traveling in the summer, I suggest you to stay in this Holiday Village near Sirmione where the parking space is included in the price and you can enjoy a beautiful swimming pool. Staying in the center of Sirmione is not comfortable, the area is a ztl (Limited traffic zone). Better to stay just outside the Scaliger castle or in neighboring towns like Colombare and Lugana, it is less expensive. 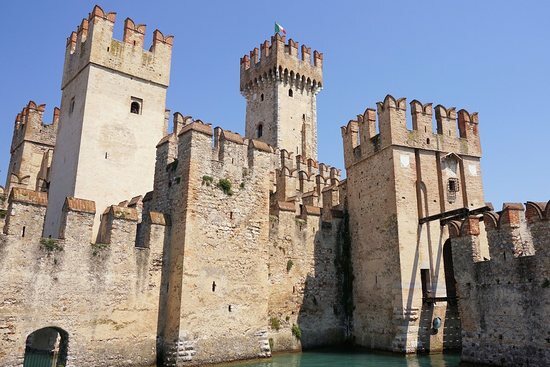 However, if you want to experience the magic of staying in the center of Sirmione, prefer this structure where you can park in the backyard, for free: ⇨ stay in Sirmione peninsula. To know: There is a convenient shuttle bus service that from Colombare takes you directly in front of the Sirmione castle gate. The cost is € 1 each way per person (simple travel ticket can be purchased on the ground for € 1.00 or € 1.50 if you buy the ticket on board the bus). 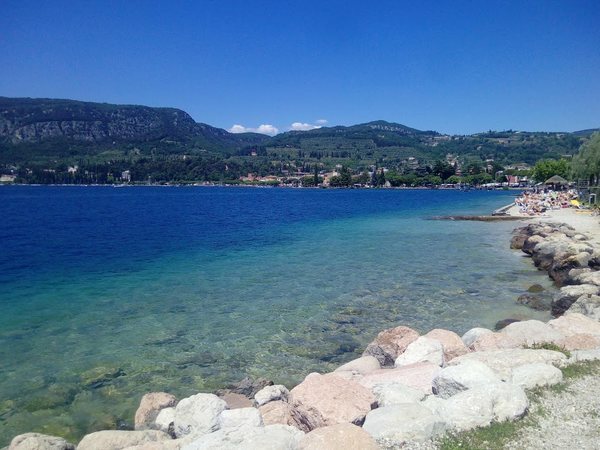 Salò is located in the south-west part of Lake Garda in the zone known as the Riviera dei Limoni: among the mountains, natural landscapes and tranquility. 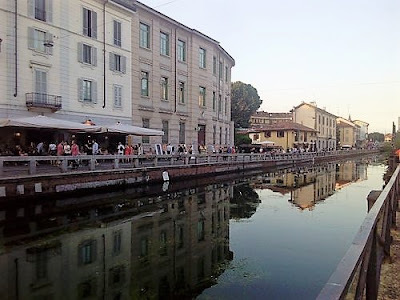 The most touristic area of Salò, and the most characteristic, is enclosed in the historical center composed narrow streets, alleys and squares with ancient noble palaces, elegant shops, numerous restaurants and hotels. Surely, together with Riva del Garda, it is one of the most chic areas of the lake with its Art Nouveau buildings. Beaches: In Salò you will find free beach equipped with sunbeds and umbrellas (if you want to pay the rental) and a part of the beach allowed for dogs. Staying on Lake Garda can be quite expensive. If you want to save money, I advice you to look for an accommodation not just in front of the lake but in the neighboring countries. If you are looking for a place with reasonable prices to be on Lake Garda, with a nice terrace overlooking the lake and a garden overlooking the mountains, I suggest the House of one of the group members I manage on Facebook: Elsa Anselmini. She and her beautiful family are local experts who will help you by giving you tips on things to do and visit. Check availability 👉 Lake Garda holiday apartment. 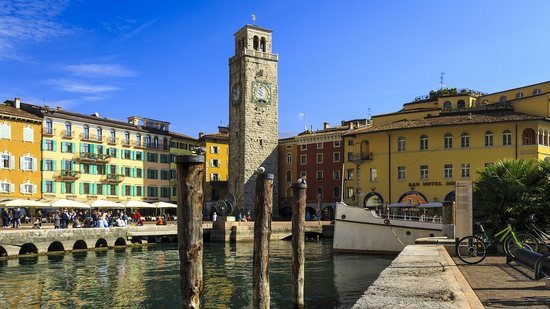 Riva del Garda is surrounded by mountains, the climate here will be more variable and cool compared to the southern countries of the lake (Desenzano, Sirmione ...) so if you are looking for a location with a more tolerable climate in summer, head here. 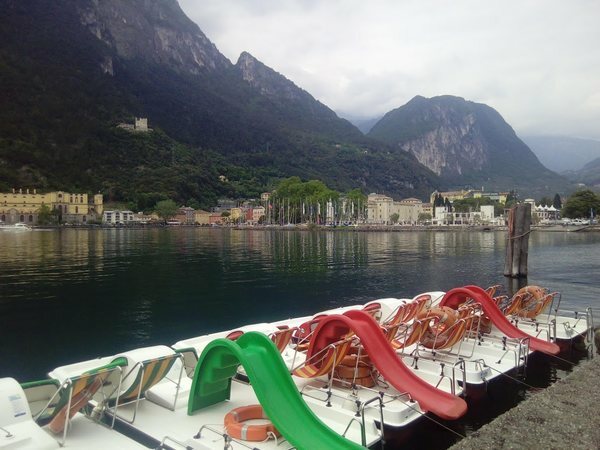 Riva del Garda is the area indicated for those looking for a wide beach and / or a lover of water sports. The city is cosmopolitan, there are many German tourists. 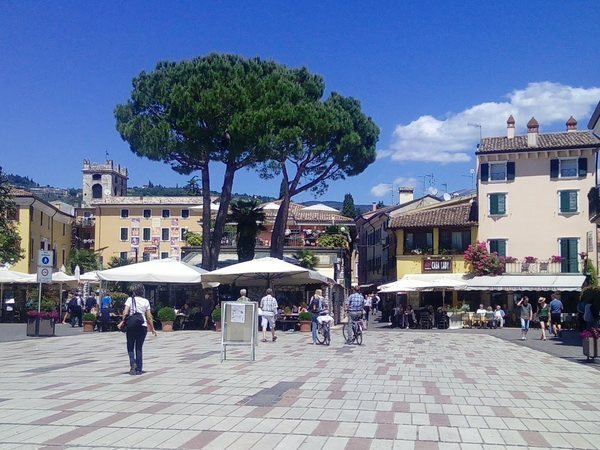 The historic center is as characteristic as all the villages on Lake Garda. There are a good number of accommodation, facilities and is a good starting point to see the upper part of Lake Garda and the neighboring Trentino towns. 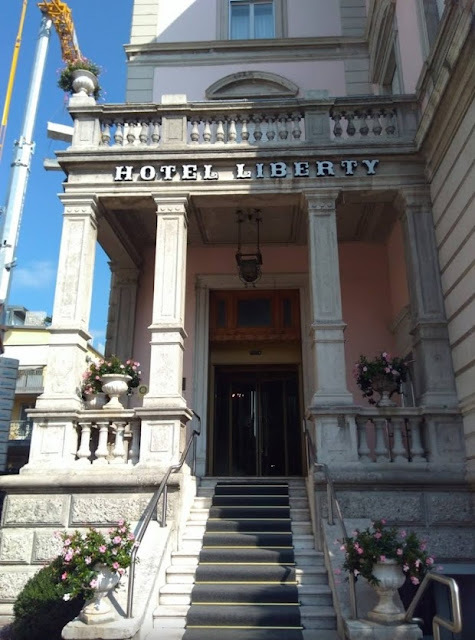 I recently stayed in Riva del Garda (early January), I stayed in a very comfortable hotel near the lake and the historic center (but not in the ztl area). It's called 👉 Grand Hotel Liberty. There are various rooms with affordable prices to be a Grand hotel. Included in the price there was the use of the internal SPA (swimming pools and saunas) and the abundant breakfast with a very inviting buffet: mini krapfen (delicious), cakes, speck jams and local cheeses. There are often discount offers for booking a room. Good location for a romantic weekend. There are a few beaches in Desenzano and rather small. The most comfortable equipped with a bar and a sunbed and deck chair is located just outside the historic center and it is called "Desenzanino Sea side resort". The local market takes place every Tuesday morning along the street overlooking the lake in the downtown core. Along the coast there are also the most popular discos, pubs, clubs... for nightlife lovers. Lazise and Peschiera are the best places to stay to reach the most popular amusement park in this area from the best known Gardaland (located in Ronchi in the town of Castelnuovo del Garda) to Movieland (Lasize), Caneva world aquapark (located in Pacengo, fraction of Lazise). A few kilometers away from each other, as you can see in the map below. They are 2 very pretty places. Villages full of narrow alleys, shops, restaurants, hotels. Both in Peschiera and Lasize you can find a corner where you can lie down to sunbathe but if you really want to suggest the widest and longest beach area, choose, without a doubt, Peschiera del Garda. This apartment is 200 meters from the lakefront Mazzini ⇨ B & B in Peschiera . Garda is a village located on the east coast of the homonymous lake. As you can see in the pictures, there is a nice old town also full of shops, bars, restaurants, hotels like all the villages of the lake as they are very touristy and visited. From the historical center a road runs along the lake where people, in some area without rocks, sunbathe. The photo below is not retouched, colors are just those of the lake that I photographed in one of my beloved walks. If you want to stay in this area for a weekend, I recommend a modern B & B with parking included ⇨ best are to stay in Garda. Well, my tips are finished. I guided you to discover the 6 most popular villages of Garda where to stay. Whatever your choice, I'm sure you'll be fine because they are all wonderful places. If you need advice, leave a comment below the article otherwise I would like to share the article by clicking one of the social buttons you see on this page. Thank you. 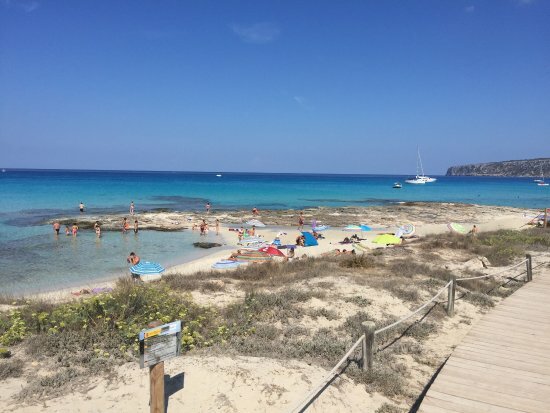 The area in which I recommend staying in Formentera is Es Pujols which is the liveliest area, with beautiful beaches, bars and restaurants by the sea. And it is the area favored by the Vips (sockplayers, soubrette ...). ☑️ Formentera does NOT have an airport that can be reached by ferry. The easiest way is to fly with Ryanair to Ibiza. ☑️ From the port of Ibiza you can reach Formentera by hydrofoil or ferry. ☑️ Book a hotel or apartment on Booking. If you do not see the map with the prices of the various structures, refresh the page and / or enter the relevant date. 👇 Prices are per accommodation and not per person. Formentera is a wild island completely different from the neighboring Ibiza. If you want to stay "out of the world" for a few days laying down in one of the beautiful beaches that surround the island, Formentera is the place for you. 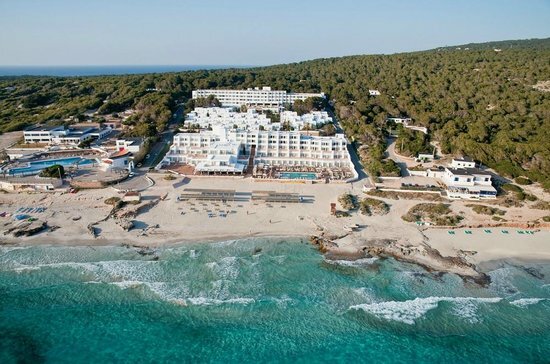 BUT if you want to stay in a touristic place in Formentera in which there are shops, restaurants, bars, nightclubs... look for an accommodation in Es Pujols. In this village the evenings are lively, it is the most frequented place on the island, there are many tourists. I recommend Es Pujols to those who do NOT want to be too secluded. Favorite area for VIPs (footballers and celebrities): you can find them in June, hardly in August, when there is the peak of the flow of tourists. The Balearic Islands are not an economic destination in the summer months especially in Es Pujols you risk not to find anything, if you don't book early. I stayed in this part of the island on my first trip to Formentera, so many years ago in June. This part of the island is more windy and has consequently the rough sea than the other shore. There wasn't much to do in June. The area is quieter than Es Pujols. From this beach you can see a beautiful sunset: one of the most beautiful I've ever seen. Photos do not make the idea. In Migjorn there is a wide beach, as you can see in the picture. Since the area is "fresher" it is recommended to stay here in the hottest periods: late July - mid-August. 👉 This guest house is just 300 m from the Migjorn beach. Small village where ferries dock. In this place there is the tourist office so I advise you to go there to get the map of the island and some brochures. Ideal place for those who want to stay in a quieter and economic area compared to Es Pujols but easily reach, by bus, car or scooter. If you want to stay near La Savina it is best to look for accommodation that faces the Estany des Peix lagoon. The suggested residence has a beautiful location overlooking the lagoon from which you can watch the sunset. 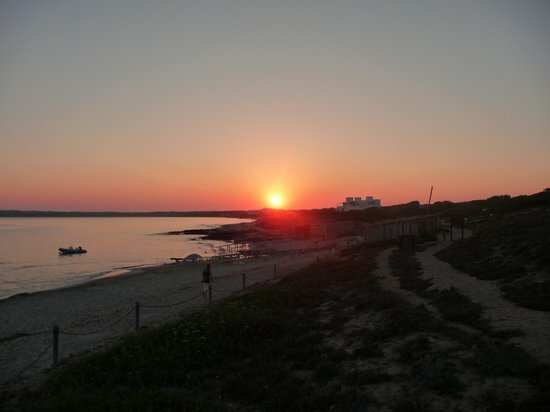 This village does not overlook the sea but is a place in the hinterland of Formentera and I recommend it to those who want to take a touring vacation. 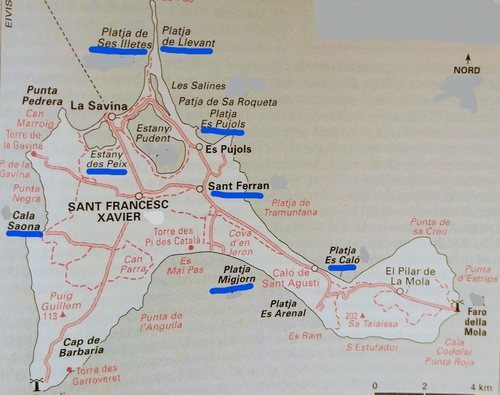 Considering that the island is narrow, when I say "inland", It means that Playa de ses Illetes and La Savina are about 5 kilometers away. This area is a good starting point to visit the whole island and the prices are lower than accommodation in the tourist areas. For some it may be a good compromise. Evenings can be spent in the downtown: there are several restaurants with a nice atmosphere. Here we are on the northern side of the island. The area is wilder, the accommodation are holiday apartments rather then hotel. The beach is "wild" as you can see in the picture. The sea of ​​Formentera is something spectacular: a succession of isthmuses and coves where it is really impossible not to dip. Cala Saona is a beautiful conca beach. An isolated cove which is accessed from a road shaded by the surrounding vegetation. 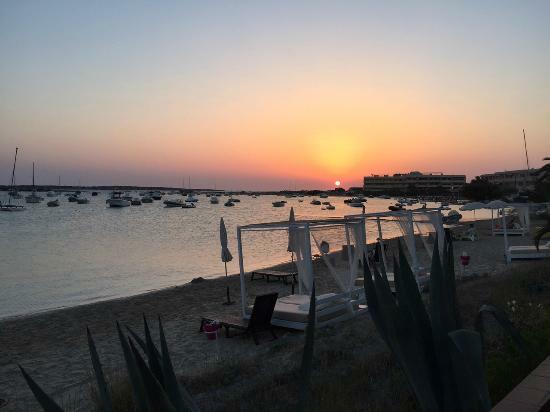 If your ideal holiday is a secluded place in the midst of nature where you can see romantic sunsets, I suggest you this hotel located a few meters from this beautiful beach of Formentera. 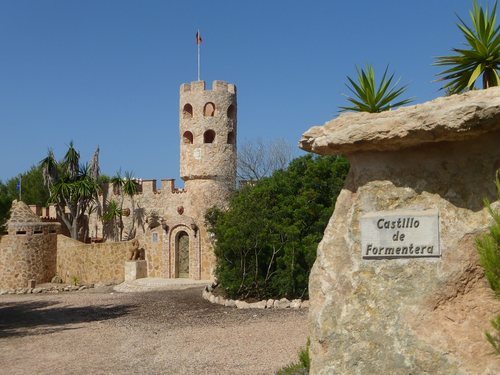 What to do in Formentera? 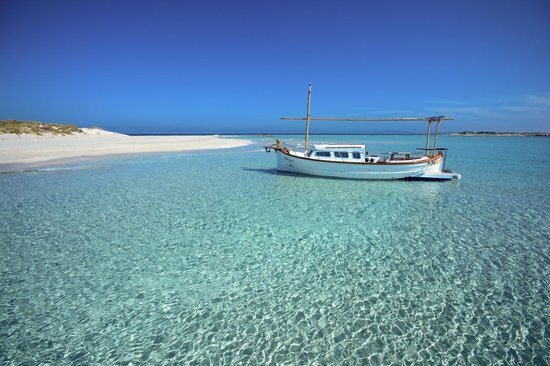 - Espalmador boat ride: private island near Formentera (crystal clear water). 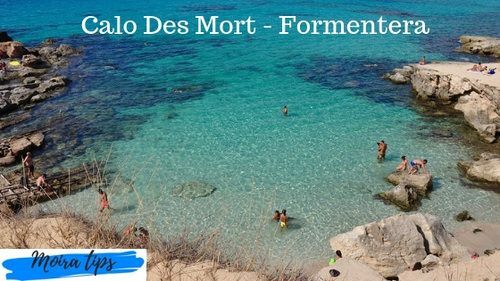 - Calo Des Mort: Tropical sandy beach. Beach bordered by rocky cliffs, with clear water, fine sand and panoramic view. - Camí de Sa pujada: trekking! Following this ancient Roman road, you will see a breathtaking panorama. The ferry that departs from Ibiza will head to La Savina. As all the tourists disembark here, you will find numerous rental agencies for scooters, bicycles... And also the bus that takes you to the main tourist resorts. 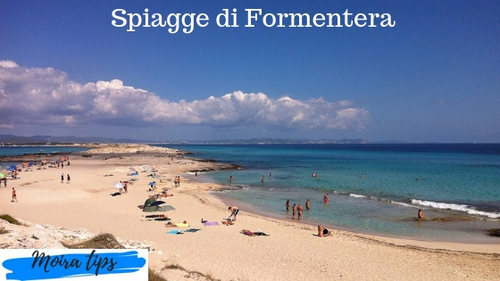 Formentera owes its name to the Romans who named it Fromentaria which means the island of wheat. The island is flat, without mountains with salt marshes, vegetation and inlets. Well, that's all! If the article is useful to you, or you want to suggest to your friends a destination for summer holidays, you can share this article clicking the symbol of social you see below. 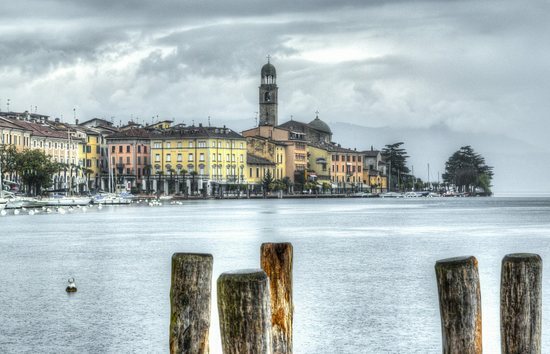 The most beautiful places to visit near Milan: Lombardia lakes, villas, castles... Italy day trip. Milan points of interest. Places to visit around Milan. Towns near Milan worth visiting. Whether you stay in Milan for a pleasure trip or on business, you might consider prolonging your stay so as to see some interesting places less than 100 km from the chief-town of Lombardy. After visiting the Castle of the Sforzas, the cathedral, the Victor Emmanuel II gallery, the monumental cemetery and the church of Saint Ambrogio and after having the inevitable aperitif (happy hour) in the "Navigli" area, you can organize pleasant outings to 6 places that are easily reachable by car or by bus/train. To Know: If You love Leonardo da Vinci, don't forget to go and see The Last Supper in the refectory of the Convent of Saint Maria delle Grazie in Milan. Booking is obligatory for an attraction that is in such demand. Visit Iseo Lake e Montisola. DRIVING IN ITALY: things to know! Driving in Italy: rules, requirements, license, road signs... Important things to know before take a motorway in Italy: driving in Italy for tourists. This article is written by Laura: an Italian girl who works in a motorway service area (on the A4 Milan - Venice). How to pay for the motorway in Italy? Which is the Best Way to Pay Autostrada Tolls? Driving in italy which side? Always Right as in America and all over Europe except in England and its colonies where you drive to the left. On the highways: 130 kilometers per hour, down to 110 in case of bad weather. In the city the limit is 50 kilometers per hour; 70 in some sections expressly indicated. You can drive with your driver's license. Foreigners with an extra EU license may travel in Italy for up to 1 year, BUT need and official translation to show with the license. By a professional translator and asserted with an oath made in front of a judicial or notary chancellor. Consulate with the signature of Consular Officers legalized in the Prefecture. How does Italian motorway work? Foreign people can have difficulties to understand how to use Italian highway. The mechanism is quite simple but payment can be complicated, or rather, can be tricky to figure out which tollbooth to choose. When you enter in every Italian highway you'll find some tollbooths. Follow the other cars that lined up in a lane. Choose one that you want except the tollbooth indicated "Telepass". When you are in front of a lowered bar, look to your left, find a red button... push it and take the ticket. IMPORTANT: Keep the ticket until the exit! If you loose it you must pay the full amount from the origin to end of the highway. Quite expensive. Now enjoy your trip... but remember... speed limit is 130 km/h. Head to your destination by driving smoothly. When you decide to quit, you just take the first exit on the right. Every highways exit has at least one tool where you can pay. You pay directly on the highway before leaving it. Best Way to Pay Autostrada Tolls? The only way guaranteed to be trouble-free is to pay cash. This is my tip. There are different tollbooths that provide different payment methods (credit card, cash,Viacard, Telepass...). Choose the payment system that you prefer and take the right tollbooth. Every of them has a different sighboard, visible in the distance, indicating the payment system. 1 — CASH + OPERATOR (white sighboard) when you see a picture representing a hand and some coins it means that in this line you can pay by cash and there is an operator inside the tool. TIP: Have some coins ready too. They appreciate not getting a €20 for a €0.80 toll. 2 — AUTOMATIC PAYMENT by Cash a picture with coins only (white sighboard): here you can pay by cash but the payment is automatic. There is not an operator. Insert the ticket in the slot and your amount will be displayed. Than insert the money in the slot (one dedicated only for banknotes and one for coins only). IMPORTANT: If you choose to pay by cash remember to bring with you enough coins and small banknotes (max 20 euros). 3 — TELEPASS (yellow sighboard): do not take it! It is a subscription using from Italian people that take the motorways almost every day in order to speed up the payment mechanism. Only those who have paid for this subscription and received a detector, to be placed on the windshield, can use this lane. 4 — CARTE (blue sighboard): here you can pay by credit cards. It accepts the principal cards (Visa, MasterCard, American Express, Diners). FIRST step: Insert the ticket in the machine where it is indicated and your amount will be displayed. SECOND step: insert the credit cards where it is indicated. Simplifying: put the ticket, put the credit card, take the card, go. It doesn't ask for a PIN number. In CREDIT CARD line you can also pay by Viacard. What is a Viacard? It is a pre-payed card of 25 or 50 euros that you can buy in the rest areas along the motorway. You can use it in the same way of credit cards. The amount will be deducted. PAY ATTENTION: do not go into a closed lane! The open tollbooths have a green traffic light while those closed have a red traffic light. What to do in case of payment problem? In case of problems, visibile in the toll, there is a red button for to call an operator. If nobody reply to you... don't worry, some minutes later the tollbooth opens automatically and the machine will issue a ticket indicated the information about your car and the amount that you must pay. IMPORTANT: You have 15 days for pay the amount. You can also pay the motorway ticket on-line, in the post offices, by bank transfer or in a "Punto Blu". What a Punto Blu is? It is an office of assistance for problems concerning the motorways. You can find them along the highway, in the cities or sometimes in the rest area. Find "Blue Point" near you on the map, and click it to see the detail information. Here the map: Italy blue points motorway. About every 25-30 km along the principal highways and a little bit more along the others there is a rest area with toilettes, a bar, a market and sometimes also a restaurant. The averange prices are quite expensive, but you can find almost everything you are looking for. How much does the italian highway cost? Best and most easiest is to use a manned booth - so look for the toll sign above the booth showing the outstretched hand holding money. Be very very careful not to go in a Telepass lane. Where to stay in Dubai? Where to sleep near the most beautiful beach in Dubai? 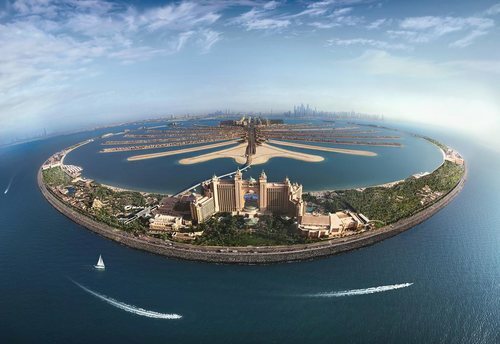 Where to stay in Dubai if you want to visit Expo 2020? 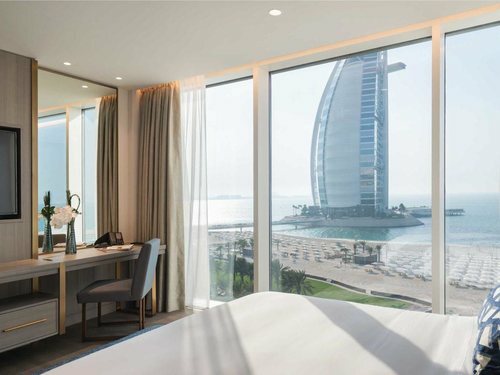 Where are the cheapest accommodations in Dubai? What are the most beautiful hotels? Dubai is a fascinating destination to see: skyscrapers, incredible architectural structures from a thousand and one nights, beaches, artificial islands ... there is something for everyone whether you go to Dubai for work, to see the expo or for a holiday. Dubai can be divided into different areas and the best place to stay can be found starting from your needs: if you prefer to stay close to the sea, to the city or to the expo, if you want a luxury or cheaper accommodation. This area is suitable for those looking for the classic seaside holiday. Jumeirah beach is considered the most beautiful beach in Dubai. Quite crowded during the high season (from November until Easter). This area is the best to stay near the souk madinat where there is a great variety of restaurants, bars and cafes. 👉 If you are looking for a luxurious beachfront hotel, a 5-star hotel with a private beach, consider staying at the Jumeirah Beach Hotel or the more Arabian style Jumeirah Al Qasr. On average, the price for both structures is around 5.00 euros per night, per couple. 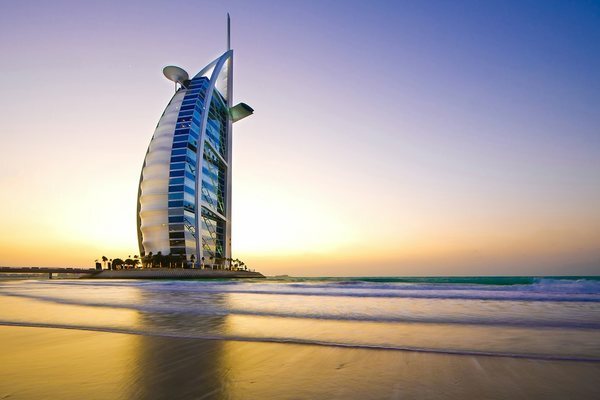 👉 The Burj Al Arab in Dubai is one of the most luxurious hotels in the world known as "sailing": like the others mentioned above, it is close to the beach, shops and is a good starting point to visit the various tourist routes nearby . A suite costs an average of 1000 euros per night per couple. 👉 The cheapest accommodation in Dubai is in the area call: Al Barsha, area also useful for business trips. Here is a list of the cheapest accommodation for Dubai. 👉 If you are looking for a place with a great location that has a conference room and a meeting room, opt for the Atana Hotel. Jebel Ali: located in the south-west area of ​​Dubai. It is an industrial and residential area in which there are large skyscrapers, towers, suitable for those who want to stay close to the expo area. The Jebel Ali Marina and Jebel Ali Palm Islands (Dubai Waterfront) are located on the coast: it is a group of artificial islands under construction in Dubai. 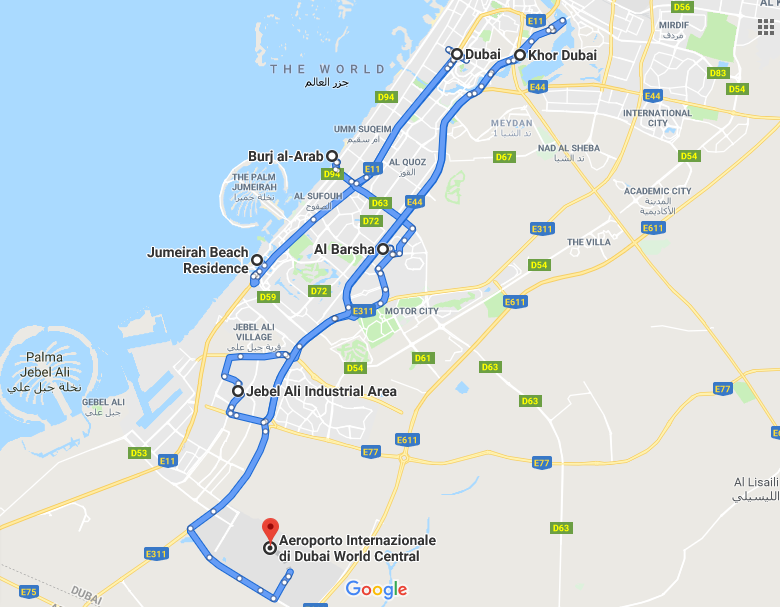 The expo area is located on an area called: Dubai Investment Park I predict that they will build several facilities near the expo. 👉 Staying in Dubai for the expo. Calculate that you can book accommodation on booking for Dubai with 1 year and 3 months in advance so just unlock the dates for the period that welcomes the expo, you should book to get more competitive prices. Mark it in your diary. It's the neighborhood that's farthest from the Expo 2020, about 50 kilometers away. If you want to stay a few nights in this area, I suggest you this hotel with a nice view of the city and the canal. The main Dubai highway is called Sheikh Zayed Road, you will have to go there to visit the modern city and see its many attractions. If you are considering organizing a vacation to Dubai, you can go during the Dubai expo that will take place from 20 October 2020 to 10 April 2021. Tip: if you can, it is better to organize the trip in winter so as not to be invested by the very torrid temperatures of this area risking to be segregated always in air-conditioned buildings. In spring, and especially in summer, it is very hot, it often goes over 40 degrees. The Dubai expo, now under construction, will be held in an exhibition area of ​​45,000 square meters (for which you wear comfortable shoes 😅) and will be easily reachable from any hotel thanks to the "Metro Expo" (line under construction) or taking an "Expo Riders" bus dedicated to the event. The exhibition area will be built near the Al Maktoum airport. See the map in the dedicated chapter. Well, I hope I helped you choose the best area to stay in Dubai. I am sure you will be fascinated by this city of many facets and opportunities. If you want to share this article with your travel companions, find the social buttons at the end of the post. Thank you! If you're wondering if Tenerife is windy, if Lanzarote or Fuerteventura are windier then Gran Canaria... this article is for you! - Which is the least windy area in Tenerife? 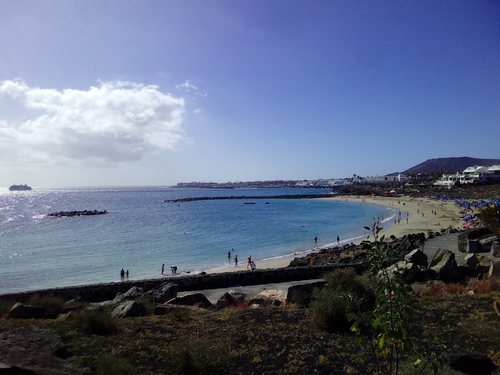 The South-East area, Los Cristianos - Playa de las Americas. - Which is the least windy between Lanzarote and Fuerteventua? Lanzarote and Fuerteventura are the windiest islands in the Canary Islands. - Which is the least windy area in Gran Canaria? The least windy area of ​​Gran Canaria is located in the South-West. Municipality of Mogàn. My readers often ask me about which is the least windy island in the Canary Islands. I understand them... Maybe they travel with children or they, like me, are bothered by the wind. All the Canary Islands are windy but there are areas/countries more sheltered by wind and with beaches suitable in every season especially in the winter months like December, January and February. This is what we're going to find out in this article. I'm not a lover of places too windy: the wind annoys me a lot. For this reason, during my trips to Canary Islands, I always stay in resort sheltered from the strong wind. A sea breeze is pleasant, and inevitable if you're on an island but I avoid the places where the wind raises the sand and gets into my eyes. Tenerife is windy especially on the west coast (Garachico, Puerto de la Cruz ...). Las Vistas beach is also ideal for people travelling with children. The wind is minimal, except in bad weather days. 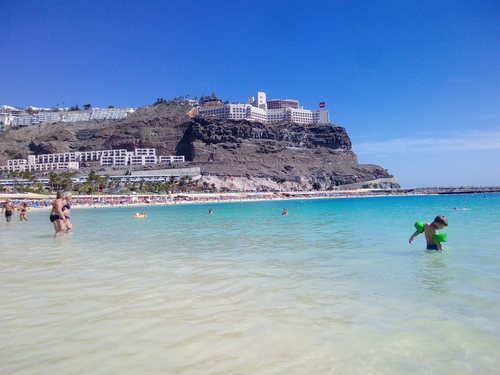 In my humble opinion, the ideal island to take a winter break is Gran Canaria. The windiest area of ​​Gran Canaria is located in the North-east (airport area). Just below there is Pozo izquierdo well-known resort for surf lovers. The beaches are in a basin, protected from strong winds, the sea is without waves. Usually the temperatures are about 25 degrees but sometimes it happens (mostly at the end of summer) that they increase due to the Calima (hot wind mixed to sand coming from Africa). The sky, usually blue, becomes grey due to the sand carried and this create an annoying heat. Fortunately they are sporadic episodes and they pass quickly. Although the water is not as mild as the Mediterranean Sea, it is pleasant to swim with these temperatures. Especially if you live in the Nordic countries, the sea water will not seem cold at all. 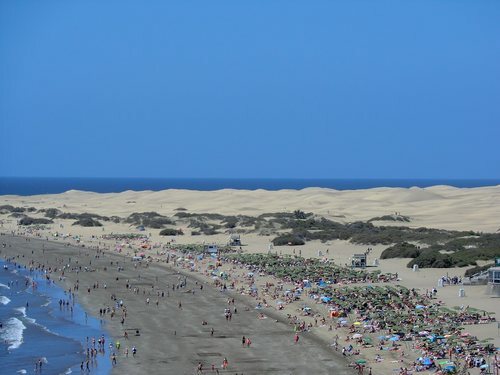 Maspalomas and Playa del Ingles have milder temperatures and they are not always windy, depending by the period, sometimes is almost impossible to stay on the beach because it is huge and not sheltered from the wind. In these days is possible to take shelter behind the dunes or, if you prefer, take the bus or car and reach the least windy beaches at only 10-15 km from Maspalomas. With Fuerteventura is one of the windiest Canary Islands. I made several trips to Lanzarote, the last in February 2017, and I was able to enjoy 4 sunny days and 3 rainy days, the last one dedicated to the visit of Arrecife (the capital of the island), where the wind was so strong that it created waves so big that the coastal path to the Reducto beach has been closed. If you are looking for a sheltered and sunny beach in Lanzarote, you can stay in the South, in the area of ​​Playa Blanca. 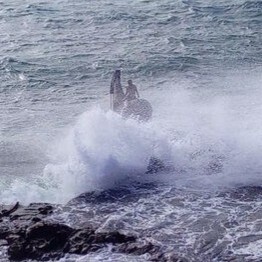 Yes, Fuerteventura is windy. The windiest period is summer. Fuerteventura is the island of surfing! So it must be windy otherwise it would not attract many fans. 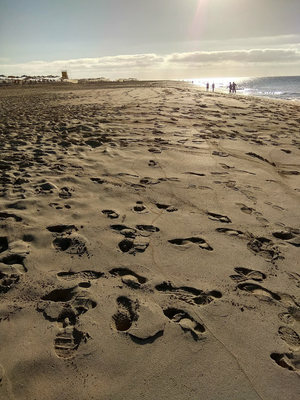 It is not an island that I recommend to people travelling with kids, but if you love the natural environments, the huge beaches without borders, you should go in Fuerteventura. The wind is a blessing in Fuerteventura because the sun is very strong. If you are looking for the least windy resort in Fuerteventura, you can stay in the South, the area of Morro Jable that usually, in case of strong wind, the staff make barriers to protect the sun umbrellas by the wind and sand storms. More info: Best month to stay in Fuerteventura. 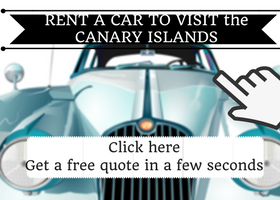 If you find this information useful to organise a holiday in the Canaries, share the article with your friends using one of the social buttons that you see at the end of the post. Thank you and have a nice trip! Copyright Moira R.J. Powered by Blogger. WARMEST CANARY ISLAND in DECEMBER: which is? Valid for new members. 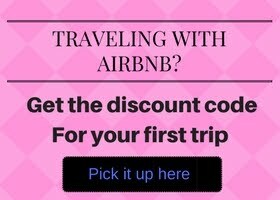 Click on the image to get up to 30$ for your next trip.